Plasmonic and guided modes of a waveguide constituted by metal walls and a magnetic dielectric core are investigated to reveal how their dispersion and optical field distribution are influenced by a toroidal (azimuthal) magnetization of the core. 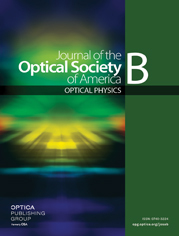 A phenomenon of the magneto-optical nonreciprocity both in wavenumber and in attenuation coefficient is identified and investigated. It is shown that in the coaxial golden waveguide with the iron-garnet core the nonreciprocity effect reaches maximal values for the plasmonic modes at frequencies above 3×1015 rad/s. The effect is of opposite sign for the two types of the plasmonic modes and its value can be tuned by adjusting the geometrical parameters.